Editor’s Note: At Macworld, we love a good debate. And that's what Apple kicked off when it unveiled its latest iPad without a new name—the tablet is simply known as the iPad. Below, Lex Friedman argues that's a bad idea. You can read Dan Moren's counter-argument in support of the iPad's new old name elsewhere on Macworld.com. Apple doesn’t sell a MacBook Air 3. With its computers and iPods, the company has long chosen to issue hardware updates that bear the same names as their predecessors. That means Apple’s support documentation needs to refer to some Apple hardware with awkward constructions like iMac 21.5-inch Core i5 iMac/2.7GHz (quad-core) (Mid 2011). It may be an accurate naming convention, but it’s not exactly evocative. And now, that same “one name fits all” has come to the iPad, as Apple unveiled a new iPad Wednesday that delivered many new features, but no distinct name. First, there was the iPad. Then came the iPad 2. But when Tim Cook and Phil Schiller took the wraps off the third edition of the iPad, they only referred to it as “the new iPad” or “the iPad.” This isn’t the iPad 3, and it’s not the iPad HD, either. It’s simply the iPad. And with that, Apple has abandoned its numerical nomenclature for the iPad. 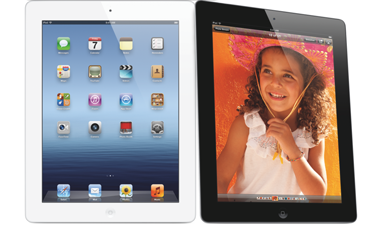 One presumes Apple considers the iPad -> iPad 2 -> iPad evolution an upgrade. I don’t agree. Apple tends to make products that look an awful lot like each other. Think of the iPhone 3G and the 3GS, the iPhone 4 and the 4S, and the iPad 2 and the iPad (the new one, not the original one). I at least know that my iPhone is called the 4S, so it matters less that it looks almost identical to the 4; so long as I see that an accessory supports the iPhone 4S, I know it works for me and my phone. Expect compatibility listings like this one to get even longer, once apps update to indicate that they work only with, say, the second and third generation iPads and iPods. But if every iPhone were simply called iPhone—and now that the new iPad is simply called iPad—it becomes harder to talk about what I own, harder to search the Web for support articles or tutorials about my specific device, and harder to know whether the advice I find applies to my device or not. Finding software and accessories that work with a new iPad has the potential to be more complicated than it was prior to Wednesday. “Compatible with the iPad”—well, which iPad? Apple, for its part, surely thinks that the new old name is perfect; it brings the iPad’s naming convention more in line with the company’s Macs and iPods. From my perspective, though, that just means that the iPad will join the ranks of those other product lines as confusingly named. Schiller, Apple’s senior vice president of worldwide marketing, told The Wall Street Journal that the company is calling the new iPad simply the iPad “because we don’t want to be predictable.” Schiller’s a bright guy, but that’s an awfully weak reason to give a product an ambiguous, confusing name. For our part, Macworld will likely end up referring to the new iPad as “the third-generation iPad.” Or the iPad (third generation). Or similar goofy-sounding and goofy-looking names in an effort not to confuse people—and, of course, we can’t call it the iPad (3G) without bringing confusion about network connectivity into the mix. Still, will new iPad owners searching the Internet for advice specific to their tablets know to add the “third-generation” qualifier to their search? That’s a problem, and it’s a fixable one by giving the iPad a unique name all its own. I have first-hand experience with identically-named products causing issues. I literally have no idea which edition MacBook Pro I’m using to write this story. That’s because it, like every other MacBook Pro, is simply called a MacBook Pro. Whenever I need to know whether, say, a recall might apply to my Mac, I need to Google my laptop’s model based on the info in its About This Mac window. That’s dopey. Perhaps Apple’s decision not to give the third-generation iPad a name all its own means that we’ll never see an iPhone 5—that the next iteration of the iPhone will be called, simply, the iPhone. Boy, I hope not. Will Apple sell fewer iPads because the new one’s named like the original? Certainly not. Apple will continue to sell millions upon millions of iPads, and we’ll all move on with our lives. But customers in need—the ones who need support and are trying their darndest to find it—will inevitably be stymied by the product’s ordinal- and descriptor-free name. I drive a Honda Accord. It’s a 2006 model. If Apple wants to keep the same names for its products each year like car companies do, adding a year to the product name seems like a fine approach. I always know which wipers to get for my 2006 Accord. I think the average consumer ought to know which case fits their iPad, too; making them instead rely on distinctions like third-generation—that aren’t in the official product names, or printed on the devices themselves—just makes things harder.